23 photos of Charles Parsons's revolutionary turbine-driven steamship, built in 1894. 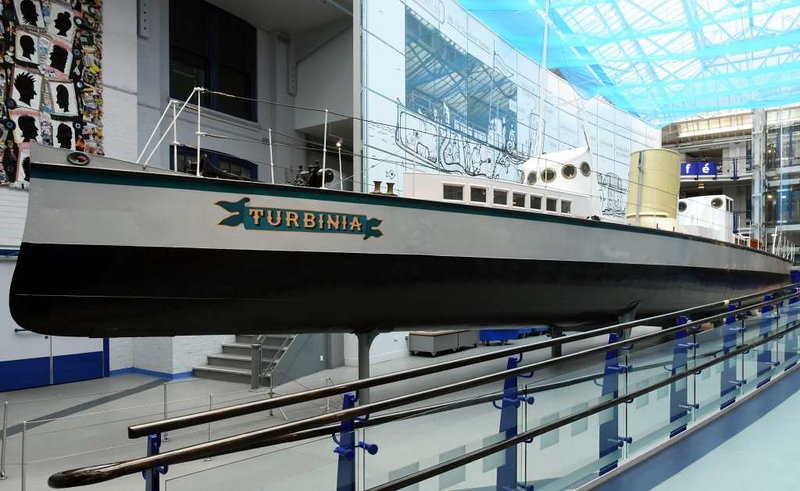 Turbinia, Discovery Museum, Newcastle-upon-Tyne, 25 September 2017 1. Charles Parsons's revolutionary turbine-driven steamship, built in 1894. In 1897 Parsons famously raced it through the Royal Navy warships assembled at Spithead for Queen Victoria's Diamond Jubilee Review at speeds up to 34 knots, far faster than any previous steamship. The Admiralty were persuaded, and two turbine-powered destroyers were launched in 1899. In 1906 two epoch-making big ships were launched, both powered by turbines: the battleship HMS Dreadnought and the Cunard ocean liner RMS Mauretania.